So you can see that pricing varied with the type of customer you were – and there were big swings, many transactions and potential mark-ups along the way. Jump to today. There are no more price pages (or ashtrays). 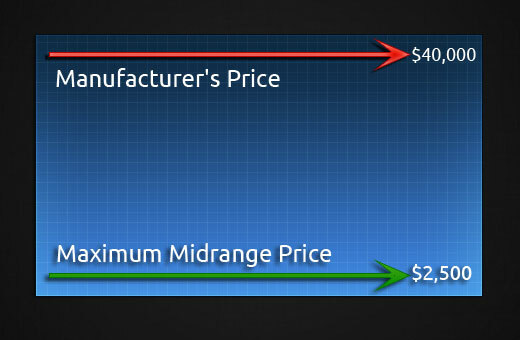 Often, the big manufacturers (IBM, HP, Cisco etc) work off from MSRP – the equivalent of List. 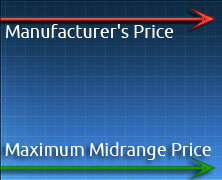 The client pays essentially a “List Less” price. Take this real example: AB456A – 16 GB ram kit for the HP rx8640, rx7640 and Superdome. List / internet pricing on this kit is $40,000. When purchased directly from the manufacturer or a business partner, a client would pay based on a discount. So a healthy discount would be 40%, but let’s go with 60% for the math – that discount would get you down to $16,000 per kit. We take a basic cost structure and apply a markup that allows us to build our business, one client, one transaction at a time – not all in one shoot for the moon list price deal. Your cost from Maximum Midrange on the AB456A? Approximately $2,500. Amount of savings off from list? $37,5000 – so next time you want a memory price you could call the manufacturer and ask for the 93.75% multiplier… or just give us a call.